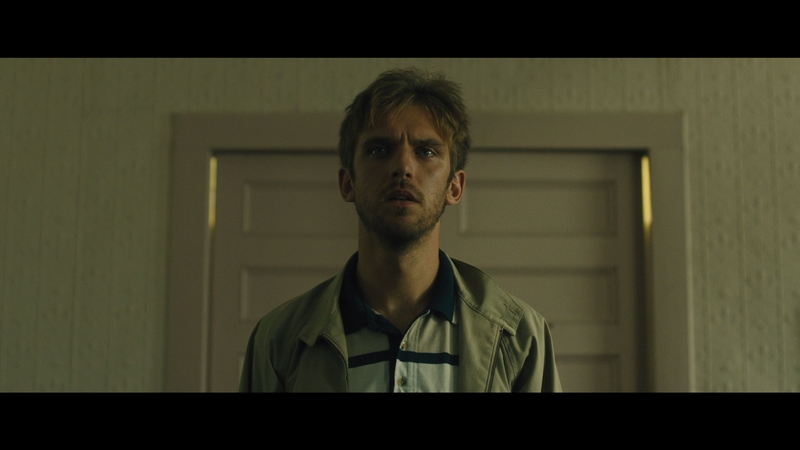 Through the eyes of James Harvey (Dan Stevens), British director Ido Fluk takes a scathing look at American superficiality. A simple, contemporary parable, Fluk’s The Ticket takes a blind man, James, gives him sight, and runs him through the American housing crisis. Fluk asks a lot of Stevens, also of co-star Malin Akerman. The two, married with a child, lead a simple middle class life. When Stevens’ James gains his sight – a medical fluke – the pair celebrate. The Ticket’s pale use of color carefully follows the mood. But no longer content with a call center gig at a real estate firm, James turns professionally aggressive. Then, he turns distant to his wife. Later, he’s detached all together from anyone other than himself. James begins exploiting debt-stricken citizens for their profitable vulnerability. He uses churches as sanctuaries to give motivating speeches. Fluk pans the camera around these meetings. James promises financial sovereignty. Faces in the crowd sometimes look worried, other times relived. It’s a perspective play – The Ticket shows what James sees. Whether he cares or not is central to The Ticket. 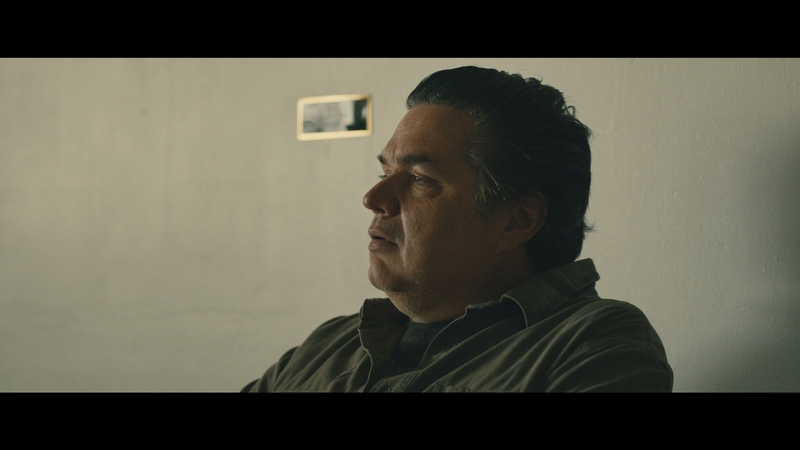 Inside is a chilly look at how a lack of compassion and self-gratification played into a distinctly American form of greed. James’ now posh lifestyle, rejecting small dance halls for nights in high-dollar bars, comes at the expense of those around him. It’s a sharp idea and the morality play at the center gives The Ticket thematic punch. As much as the recession feels like a narrative ploy – indicative of James’ skewed change in attitude – the links to his relationships help this frequently stunted feature. Like James himself, The Ticket feels overconfident, even artistically arrogant. Fluk’s work lingers on meaningless shots, plodding forward, and retreading its own plot. The visual prowess holds beauty in stills, yet when in motion, The Ticket slows to unbearable degrees. There’s an unwillingness to let go of shallowness, bumping against the film’s own grand metaphor. The Ticket feels like a short story stretched to feature length. That drowsy pacing and a paucity of dramatic charisma fail Fluk’s pronounced cinematography. It’s a predictable, ponderous tale, stirring in conceptual possibilities, sunk by its narrative inevitability. Compositionally attractive as The Ticket is, the digital source is frequently ugly. Often presented with a sickly yellow hue, the design intentionally loses visual beauty. Colder blues slip into the later parts of the film, slightly less ugly than before. Also missing is contrast. The Ticket doesn’t have a single instance of pure black. Typically, strong light is absent too. The look steers toward a milky, hazy aesthetic. Shadows take on strands of yellow or brown, minimizing depth. This also causes artifacting to appear, although minor. Opening credits, which use blasts of light to mimic blindness, create significant banding and artifacts. It’s a rough start. The Ticket’s resolution produces some fine detail, if not with consistency. Close-ups do well in capturing texture and some exteriors nicely render roadside foliage. Noise in various forms covers up significant fidelity. Shout Factory’s encode can try, but still creates pockets of chroma noise. The DTS-HD track comes in two forms: 5.1 and 2.0. Stereo is likely the original source. Most of the audio presentation stays front-loaded, spreading to the surrounds without consistency. A trip to a dance hall stretches across the front soundstage, ignoring the rears. A restaurant visit then utilizes the surrounds for ambiance. Near the closing moments, cars pass front to back and insect calls kick up into each channel. There’s narrative purpose for the sudden increase in audio. The rest, with the sullen score and dialog, comfortably rests in the center. Writer/director Ido Fluk joins writer Sharon Mashihi for a commentary track, the lone bonus aside from a trailer. 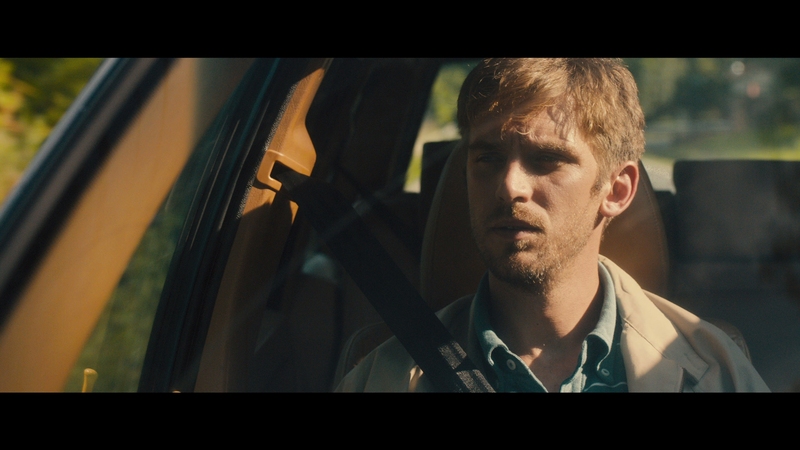 The Ticket offers a predictable morality centered around Dan Stevens and director Ido Fluk’s long-simmering storytelling. Click on the images below for unaltered, full resolution screen captures taken directly from the Blu-ray. Patreon supporters see our screen shots first, view our entire library in .png format, and gain fast access to nine Ticket exclusives for as little as $1, perfect for custom cover art, film study, or other applications.